This week I got an onimous email from Google telling me they canceled my Google adsense account because of violation of the European Union (EU) user consent policy. 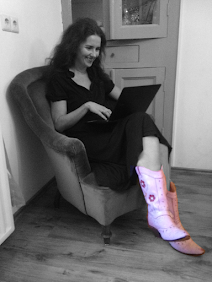 So I did what any blogger would do: I panicked! And then I panicked some more. 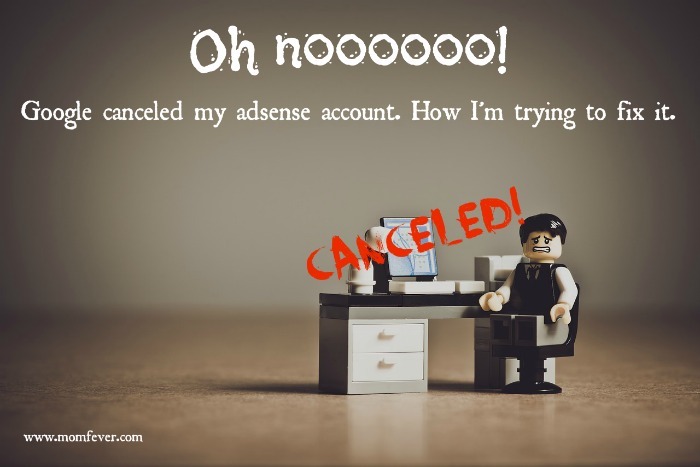 Why did Google cancel my adsense account? Then I took a couple of deep breaths and decided they probably meant there was no cookies bar on my blog. But how could that be? Three weeks before I had installed a cookies bar using the Jetpack plugin! I have several blogs. Most of them are on Blogger. Blogger automatically adds a cookies bar, so you don't even have to think about it. But I also have three wordpress.org blogs. And that's where my woes begin. Because they dón't automatically have a cookies bar. I hád added a cookies bar using the Jetpack plugin. But because my blogs were really slow, I deactivated all my plugins, trying to find out what the problem was. Turns out it had something to do with the server of my host. So I reactivated all the plugins. I thought it was there, but it wasn't. And Google saw. And it was not good. Aside from panicking I immediately dragged those stupid cookies bar back into the footers of my three blogs. So the problem that made Google cancel my Google adsense account is fixed. Then I sent an appeal to Google telling them I had fixed the problem. So now I'm waiting. And crossing my fingers and hoping that Google sees that it was all just a big accident. I never meant to nót have cookies bars on my blogs. Indeed, I thought they were there. I love Google adsense, and I hope they'll take me back. Apart from sharing my woes I'm also hoping this post will help others prevent this happening to them. If you've got a blog be sure to have a cookies bar on it. Have you ever had this experience? And what did you do? I would really appreciate tips and pointers!